The weekend in the summerhouse also had some manually work to be performed. I did manage to decrease the number of logs to about half after some days - but I still have some work left to "beat". And did try to remember to put my watch in the pocket when I started on this work - but many times I forgot - so that is WHY I need a watch that can take a beating and keep on ticking. And when I was done with this work - It was time to relax - that is OK when you have your vacation. One of my friends have found a very nice Omega Seamaster 300 from 1967 - with all the best patina to be expected. This watch has been on my list ever since I saw the National Geographic Ad for Omega. The Omega Seamaster 300 is the forerunner for the Rolex Milsub - with sword hands 60 min rotating bezel. The story goes that the Omega Seamaster 300 was found to be to "defective" with to much maintenance for the watches used by the UK military. If you can find one original UK milspec. Omega Seamaster - your lucky. Next best thing is to find a Seamaster 300 in original condition. 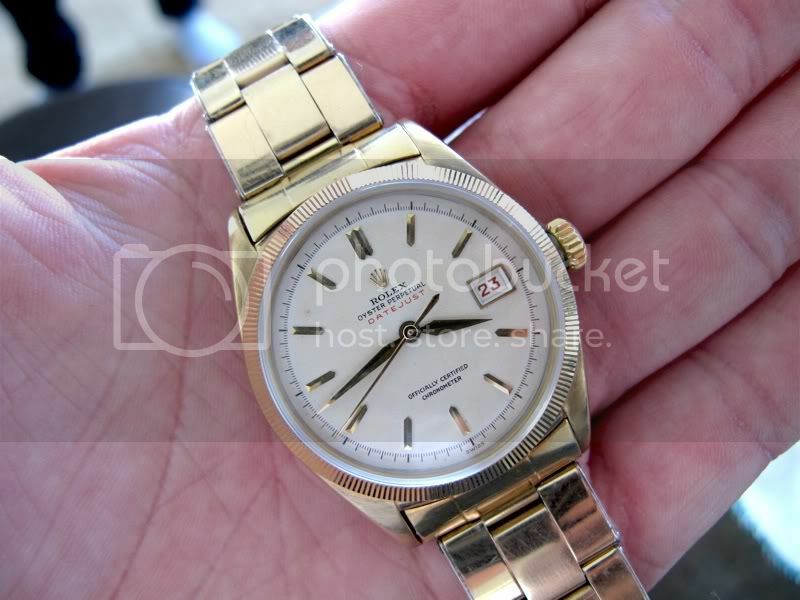 And this is what my friend did - found a nice Seamaster 300 - as original as possible. And I'm jealous - and I think this is OK. I suspect that the next trend in photos off watches will be with smart-phones and often with the use of special effects/filters in order to achieve some new ways of making photos. I have already seen the trend on different medias - but I think it is only the beginning we have seen. And it is FUN to make photos that simulate a old Lomo camera, a cross-processed photo (have many of you know what cross-processed means ;-) ). It is fun to see how people are using their newest digital camera - including the build in camera in smart-phones to simulate the "old" days where film (slide, B&W, Color neg.) was the order of the day. For me it also brings back memory - and is also why I ALWAYS shoot with WB (white balance) set to flash and not AUTO. The reason for this is that I used to shoot slide film - and these was always calibrated to flash/daylight color temperature. And I like the look of slide film - so that is what I use. I will upload some photos made with my HTC Incredible S (just got it, and selected it over the Iphone4) - I like the way the Android phones are used, with widgets, web access and least but not least - I can live without ITunes (which don't install on my PC). I'm not "religious" in regards to iOS vs Android - used what is best for you - each system have its pros and cons. (I have used MacbookPro for plus 2 years - and liked it (it is BSD linux in its core) - I now have Thinkpad/Lenovo/IBM and like it (I like the build quality over the nice design). I have enjoyed a week of sun and family, sometimes the simple things in life is the best. But back to the daily work and my reality - My "next watch" have had a small setback - it was time for a new dishwasher and wash machine, and last I need to give my wife a super birthday this weekend. But I have 3-4 watches that I would like to have when time comes. And then ofcause many other watches that exist out there - even the new Explore II with black dial have a nice feeling to it. Daily Beater vs Non Daily Beater - What was the question? There is a term called "daily beater" - it is a term used for a less expensive watch that you don't have to "take care" of. You can leave it on when you paint, when you cut down trees, mix cement, go the the beach (with sand), etc. I still plan to save up for a Audemars Piguet ROO, Rolex Daytona, Omega Speedmaster, etc. - and if/when I get any "new" watch it will be used and abused as any other watch I have. This is also why I sold my Panerai PAM 4B (black PVD) - My use of that watch was subject to many srcatches, and with the price of this model - I selected to part with it (yes I have regretted it). Long gone .. My Panerai 4B .. 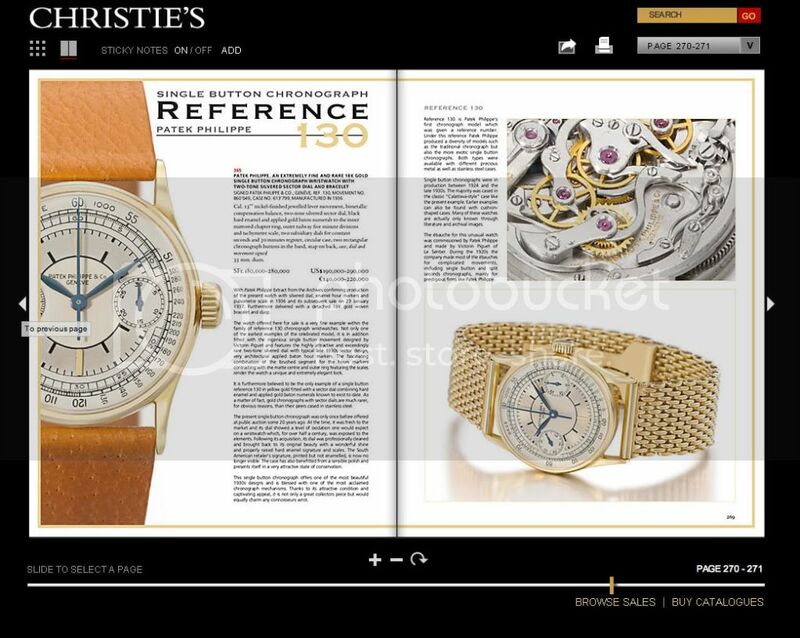 If money is not option - check out the "Christie's auction catalog"
This auction have so many Rolex ref. numbers I don't even know about - and the prices are a bit over my budget. But as always it is nice to just do some "window shopping". 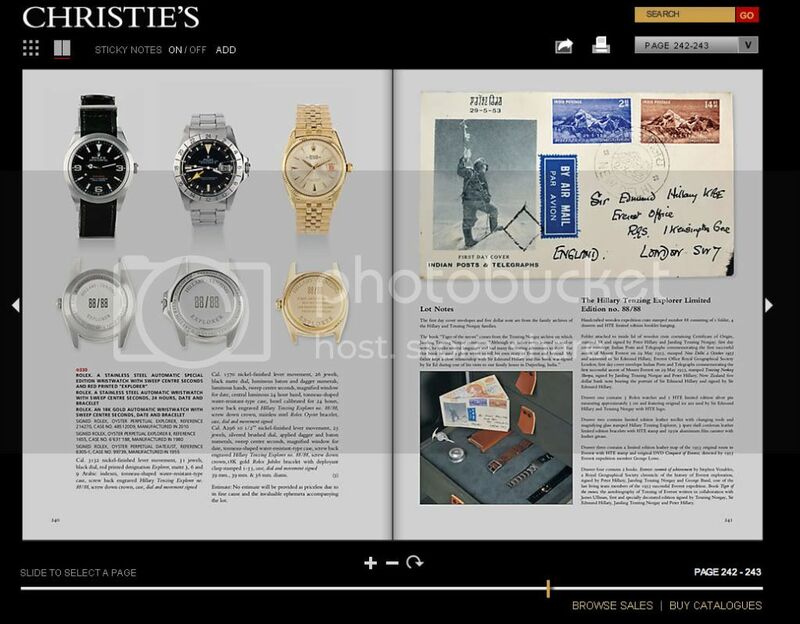 I have a soft spot for the Rolex Milsub - but after I found the information on the Omega Seamaster 300 (when I check out Omega Speedmaster ads in National Geo. ), This watch has also had my focus. The Omega seamaster 300 is the "first" real "Milsub" - and the design of the watch hands was used in the later rolex milsub. 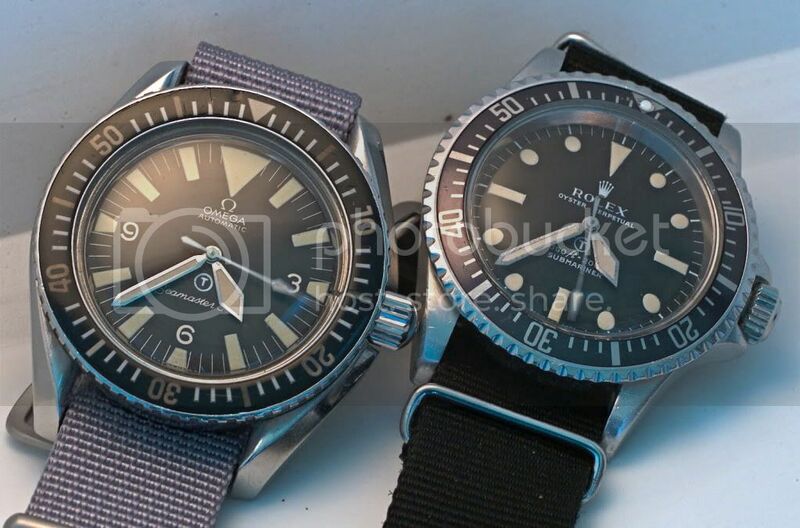 Check out the rolexvintageforum where the story behind the famous rolex milsub sword hands are described. I have been somewhat "off-line" on multiple forums lately. I have mixed feelings about the post - first - my private life is my own business - but secondly - my private life is also what make me "who I am". And when people starts to ask why I have been offline on different forums for that last months. So I have decided to make this post. For a little over 6 months ago my father passed away - We all have to go that way - but even if you "prepare" yourself - it is NOT possible. I'm still in the process of getting to the other side - but there is still many issues to deal with. This is the main reason I have been "offline" for some time on different forums - my focus was changed. Why do I post this then - when it is private - the main reason for this is that I'm now in the process of remembering my father in the many years to come. 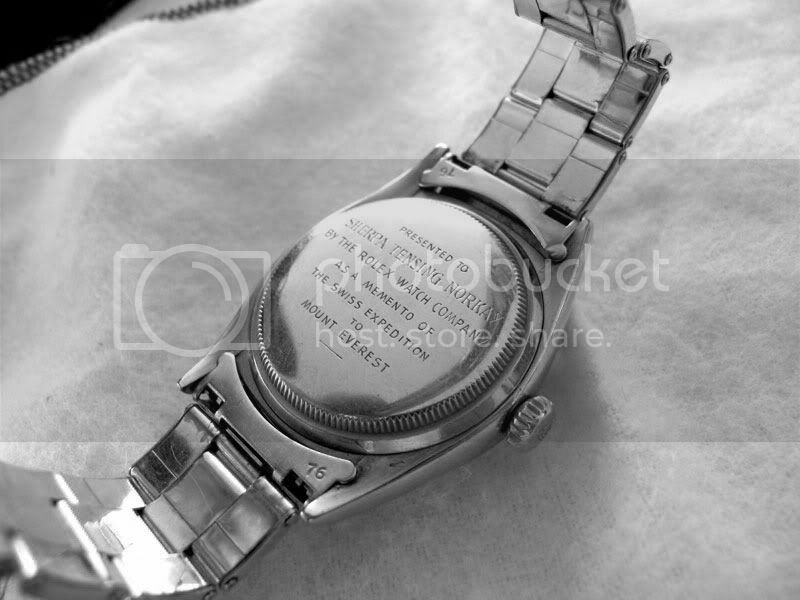 I plan to get something to remind me of my father - a watch I would wear daily. 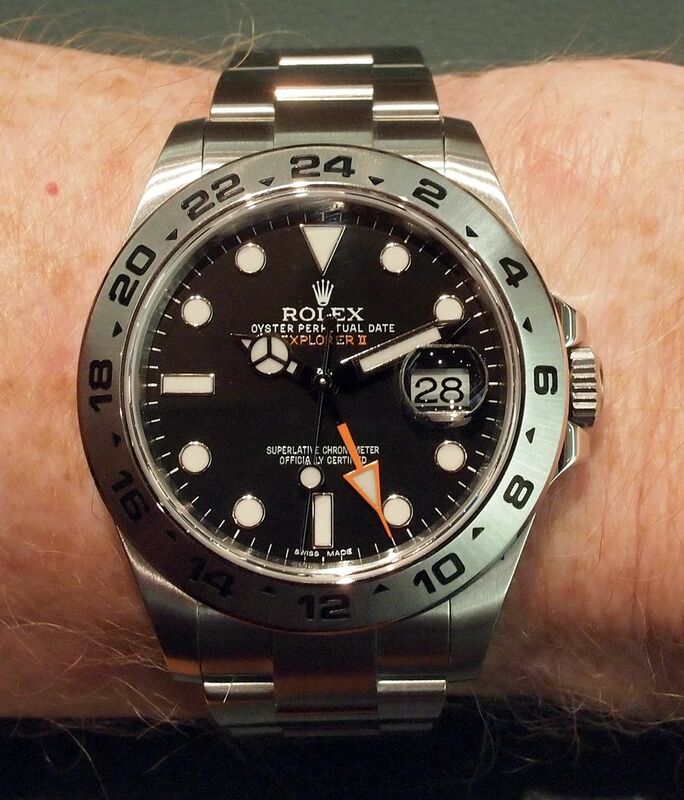 My Rolex Explorer II - 16550 black dial - My first Rolex in 1985 - and the watch that will never leave me. At my work place I'm probably one of the few persons with a interest in watches. But this month I had the pleasure to make a small introduction to my department to a new person - and he was wearing a Panerai. A nice one at that - the Panerai 212 - flyback model. At long last a guy I could talk watches with. I did notice his watch when he started - and I was wearing my Rolex Seadweler - but I switches to my nice Pam 25C - just to see if he noticed the switch. And he did - so his is a real watch guy - not just a "wannabe". What watches are still in play on "my Next watch list", and what watches will I keep on the lookout for. This is the beauty of being a WIS - there is ALWAYS something out there we want. The Danish watch guru number one - aka Mr. Haagen, have on his "blog" and a fallout with another "watchblogger" at the just ended "Basel World 2011". All I can say that it is a small world - lets all enjoy it - and keep smiling. I have the highest respect for people trying to make a professional living on anything, and I will suggest that all others take a backseat when it comes to "feeling" important. My blog is nothing - I only do this for fun, I will any time stand back for the "real" people doing this as a living profession - I have been there as a old time photographer. Have emailed with Jim from the US - and his son have a nice cafe in Denmark - Løkken in Jytland. Jim have orderen the LW "The One" - the first real new watch for Jim - Always nice to be able to assist. I just pointed to my many throughts on the LW watch here on my LW info page. And until I can buy a AP ROO (only maybe) I will use my LW Elemental with textile and metal band. This could be the weekend the old Weber is started up with some meat, and also some nice redwine could be nice. When I look back I can see some photos from last summer - and it brings memory to my mind. Let the summer come ... I will be ready. This is one nice watch - by the look of it we have a "killer" combo here. I still love my old Explorer II - my first rolex, and first true love. The Rolex Exp II - new version with orange hand. 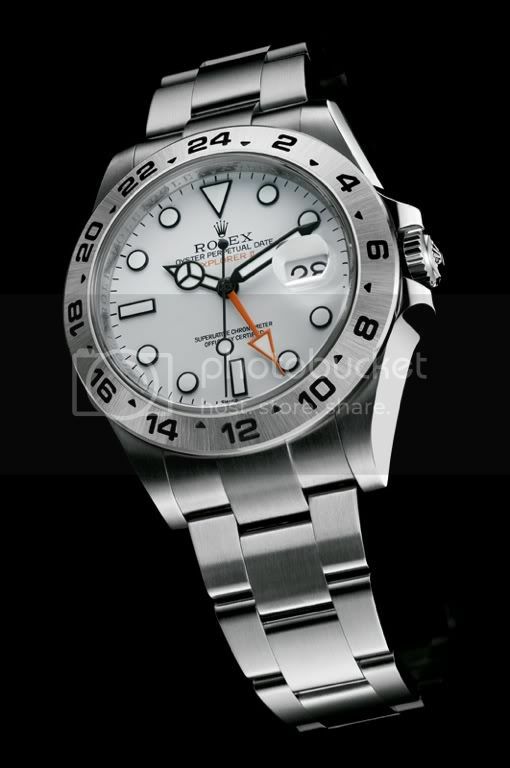 Yes - it was true - the "leaked" photos of the new Explorer II seen last year. So far the main interest has been around the white dial version - but for a black dial person as me - I'm looking forward to some more photos of the black dial version. As I for one think that the Rolex Explorer II is one of the best all round watches out there - and was my first Rolex - I'm a little biased. 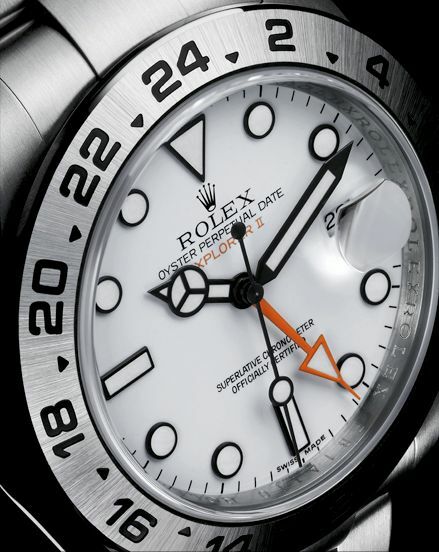 But if the new version is second to none - I would go for that model over many other of the Rolex models out there. 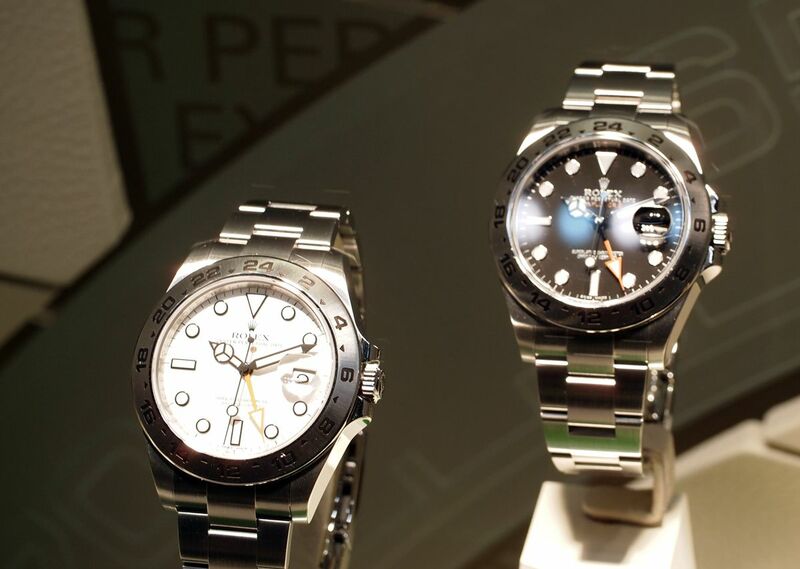 And from the initial photos - I do think that the black dial Rolex Explorer II is a true winner!!!! The Rolex Explorer Mt. 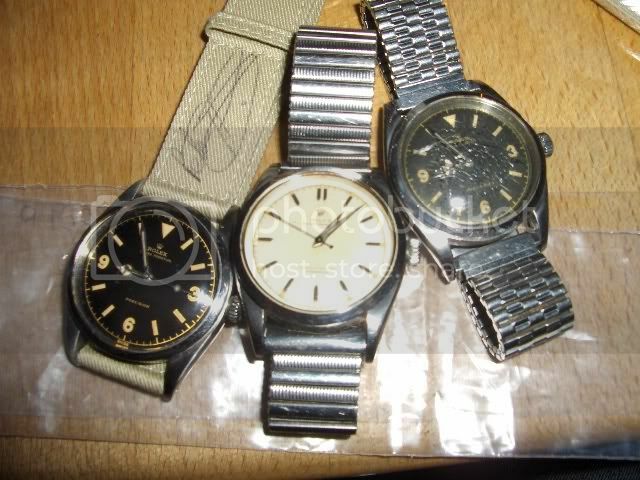 Everest watch story - was it on the summit in 1953? 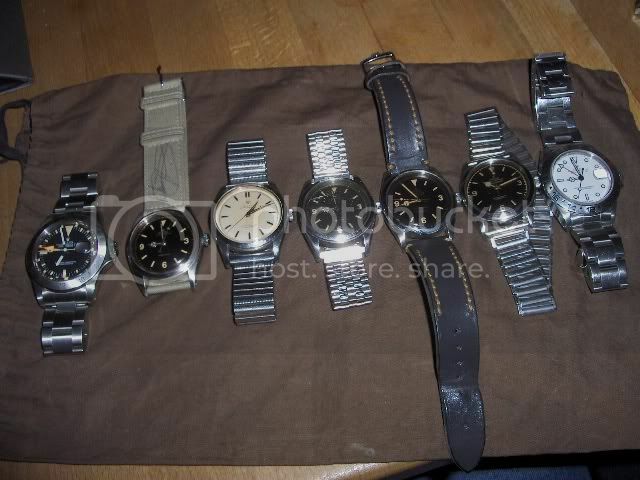 Found this perfekt article on vintagerolexforum.com - from Mike Wood the man with an out of this would rolex collection. 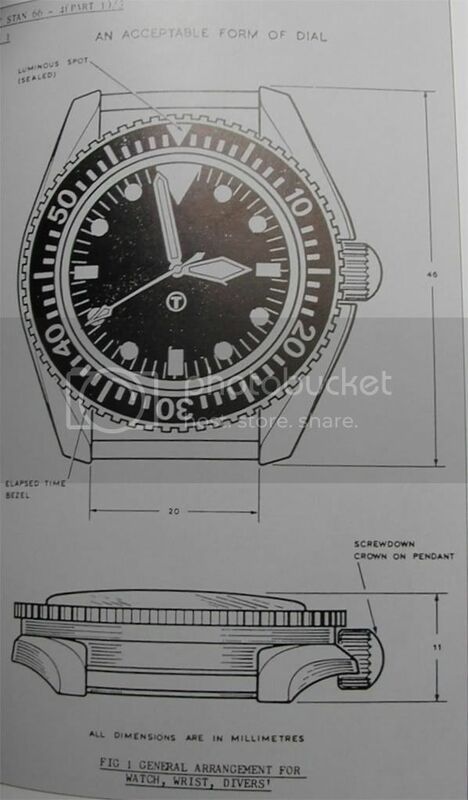 This time the meeting and article is about the very farmous Rolex Explorer - was it or was it not on the summit of Mt. 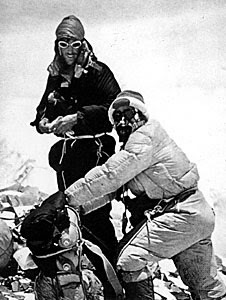 Everest with Tenzing and Hillary in 1953. Check it out - this kind of "gold" on the internet is so nice to read from time to time. Give ME a steel watch ANY time of the day - aka - My Feeling of the signal value of watches with exotic metal and "stones". I'm not that much into watches made of exotic metal - give me a steel watch any time of the day - and I will be a happy man. That had me thinking of the signal value of watches made of exotic metal, what are their "value" for the person besides "showing off". I can understand that some people think that a gold watch looks better on them than a steel version. But why select a platinum version over a steel version, and why have added "bling" "bling" to a watch. I know I'm on very very thin ice here - I will probably get some bad reactions from this statement. But it is in no way meant as disrespectful for people buying watches that are out of reach for the majority of normal watch collectors. Just think of the value of a special vintage watch - that value is only known by a few people. Eg. how many people would think twice about a rolex with a little COMEX on the dial, a Daytona with a exotic dial, a sub on a nylon strap with a little T in a circle on the dial, any Pre-A steel panerai models, the PP nautilus, etc. Would anyone of you that are reading this buy a Rolex Daytona (leopard) with diamonds in many variations, buy a platinum watch, white gold watch, etc..
Linde Werdelin - Cartoon story - "The Perfect V" - new episode. I used to be a big fan, and still is to some extent of cartoons. If I go down to my basement I will be able to produce a good selection of cartoon albums. Linde Werdelin have used "The Perfect V" in there latest "catalog" for their watches. The use of alternative forms for presenting watches is very "positive" - to many watches are presented in sterile environments - some are not even real photos - but computer generated illustrations. So hats of to LW to bring some new ways of "promoting" watches. You can download the PDF format of "The Perfect V" story here. It is funny how we WIS can use so much time checking, searching, re-checking, etc. to find out if a special watch was here or there. How much more easy it would be just to ask the people involved. Which watch did you have on this and that time. Ask people that have been involved in some history event - do they have some facts and/or photos, etc. After reading the story about the Tenzing rolex watch - I begin to think about more information from the persons in questions - that have been directly involved in a historic event, what watch these people in the news have and use, what watch was use in that situation etc. 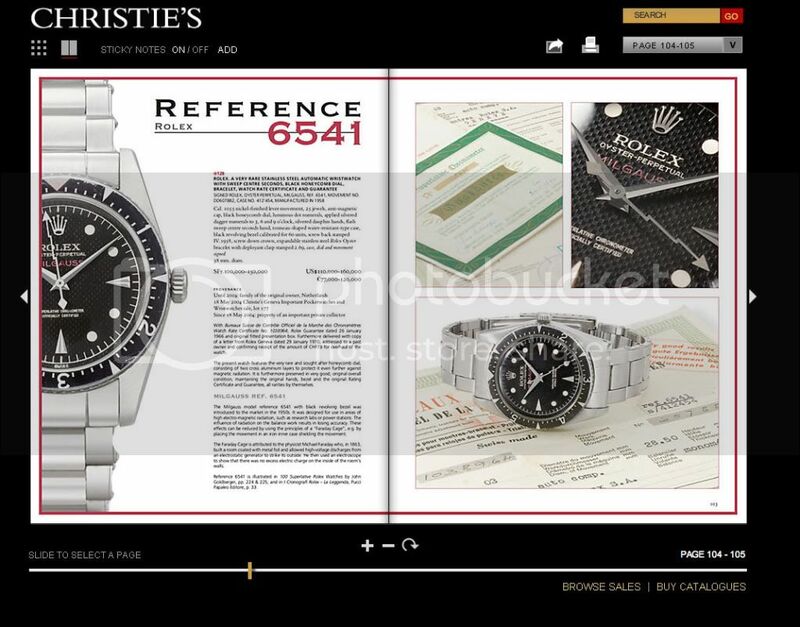 HAVE the Rolex GMT been issued to the danish "Sirius Patrol"
Our main source for information are the internet, photos of people (where a WIS check if it is possible to see which watch). 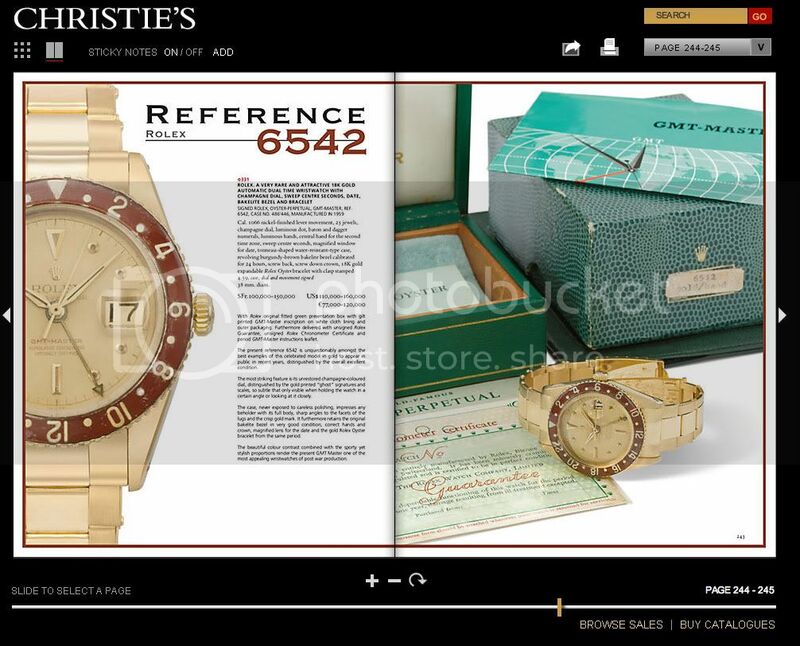 Check this "article" on the vintagerolexforum - it is crazy what can be found on the internet. Hats of for this very good research on the Mt. Everest watch and the Tenzing watch. These small stories are what checking different forums on the net so much fun. Other people that us WIS - will pay no attention - and ask - "so what....?". Summer is near - first weekend in the summerhouse. Had a little issue with my car - well not just one issue - but a handful, and that forced me to say goodbye to my trusty old car, and to borrow the my wife's fathers little WV Fox. But that did delivery me to the summerhouse - to prepare the coming of the summer, open for the water, see how many mouse had used the house during the winter ;-), and last to measure up the old kitchen for a new kitchen project. Well I arrived - and all was better that expected - only one mouse visit it look like, fire up the oven, and all in all just a quick overview of all is in order. Really looking forward to the next many weekends to come - driving up Friday evening, and waking up to complete silence. The old, no lets just say VERY old Weber grill will once more be ready for some pre-summer food. My Personal thought on selecting watches - aka "Why this watch and NOT that watch". "Beauty is in the eye of the beholder" - or something like that the saying goes. This means that something that for one person looks perfect - can for another person look less pleasing. I have the same feeling about watches - some watches "just" looks better that other in my view. And sometimes the beauty/love can grow over time. Meaning that a watch that you initially did'nt like - can become a new favorite. But their exist MANY watches - both brands and versions that just don't "sing" to me. This list of what I look for in a watch have great impact on my watch collection. My first love was rolex - and I selected the rolex Explorer II black dial (model 16550), because I like the classy look of the rolex in general, but did'nt wanted the "standard" sub. I still think that the Explorer II black dial is one of the best rolex designs - mixing the elements of tool watch and dress watch. But over the time I have also selected the standard rolex sub models (both, non-date sub, sea-dweler, and normal sub), as this watch will forever be a icon of watches. 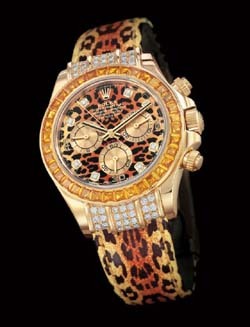 But I will never (never say never) buy a watch that is to much bling, to much dress watch, to much "girl" watch. This also the reason I have been split on getting a chronograph - the rolex daytona vs the AP ROO. But also the reason I have been some time in selecting panerai. The size and look to some time getting used to - but now I like the panerai models - and even if I think panerai come with to many new models (like I also feel AP does with the ROO model), I still think that a new panerai could join my collection in time to come. Back to the subject - "why this watch and not that watch" - basic if I like it - I will go for it - but a watch needs to sing to me before I will think about buying it.